Using eBay, many people who wouldn’t ever consider themselves entrepreneurs have created small empires through online selling – or at the very least, a few extra pounds. 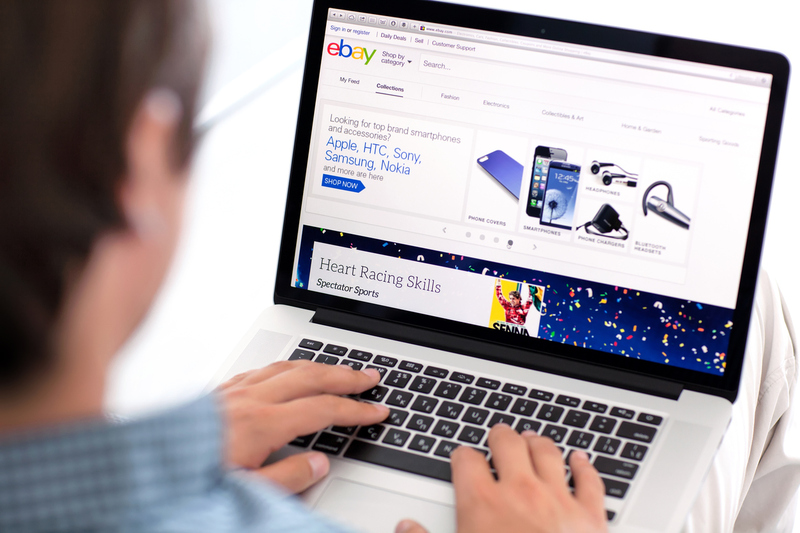 eBay, unlike many of the typical ‘advertise and wait for people to contact you’ websites uses auction style listing methodology to attract interest and entice people to bid on your items. There are lots of online guides to advise on the best practices to employ when selling. Below are the main points to consider. Firstly, you will need an eBay account. It is free to get an eBay account. You will need to complete your details, choose a username and also pass a few identity verification questions. When selling your items it is imperative to have a number of high-resolution images. Use common sense, but a good guide is 3-5 images for a small item, upwards of 7-10 for larger or more complex objects. People want to see various angles and images need to be taken in good lighting and with perspective, so the colours and sizes are accurate and not misleading. When starting your listing eBay asks for a Starting Price, a Reserve Price and a Buy It Now Price. A starting price is required for every listing. It is the price at which people must bid in order to get the auction running. Set this too high and you may put off a lot of bidders as they will assume it is going to increase a lot and they will wait, perhaps until the last minute to bid, giving you no indication of how your auction is doing. Many people choose to start at £0.99, thus gaining the maximum excitement and interest over your ‘potential’ bargain, leading to lots of bids and a good, accurate finish price. Look at other auctions similar to yours and decide accordingly. If you decide that you want to limit your auction so that it will only sell when a minimum price is reached you can set a reserve. If you wish to also list your item so that people can purchase immediately, add a Buy It Now option to your auction. This allows you to use a low starting price (possibly with a reserve) but also provides an option to buy at a fixed price. Be aware, as soon as your items has a bid, the BIN option disappears, otherwise people may not bid more than your Buy It Now, and this would ruin the principal of auctions – that sometimes you can get more than the item is worth! Obviously, if you so wish, you can restrict your action so that people must collect in person. However, this will put a lot of potential buyers off. Choosing to allow international postage is the best way to get the most bids, but be aware that you will need to provide tailored postage quotations for people messaging you in addition to having a number of options for postage within your country (i.e., domestic post, courier, next day 1-3 days, 5 days etc). Remember to budget for packaging and insurance. It’s worth noting that although it may seem a good idea to charge inflated postage to make a little extra money and cover your transport costs, etc – many buyers will immediately be left with a sour taste in their mouths and quite often will highlight this in your feedback. eBay uses a strict feedback system, where every buyer and seller has to give a positive, neutral or negative score against every transaction. Buyers also get the option to leave a brief comment about their purchase/purchser. This is very important, as your total score is clearly visible next to your username and as a result, people will check to see if you have negative feedback and why. Keep your clients happy, make your photos and descriptions accurate and honest, post quickly after receiving payment, package the items well, keep the communication good and you will get positive feedback. Everyone has things go wrong from time to time, but keep communicating and issues are a lot easier to resolve.